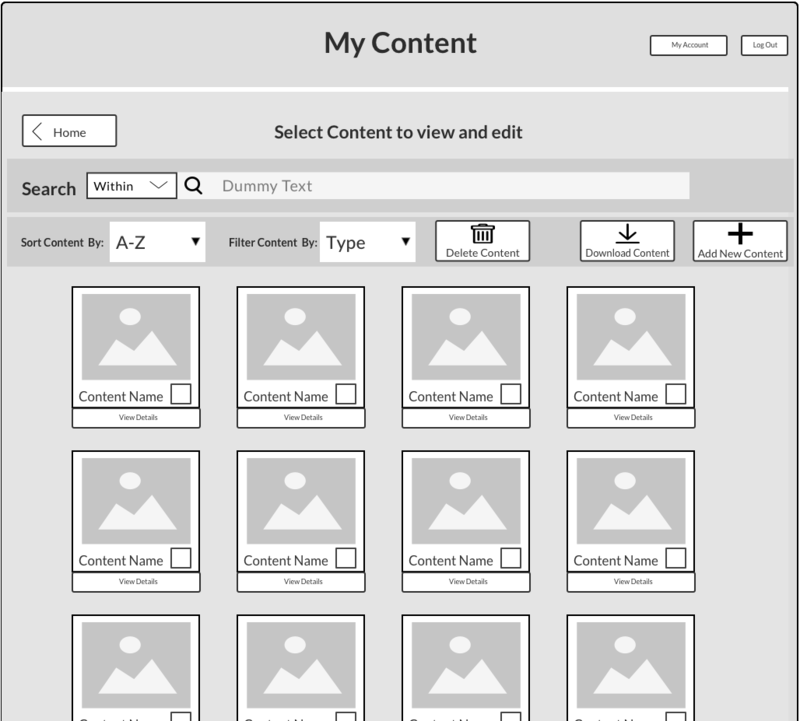 Content Portal – Mobile + Desktop Trade-show Content Management – Tyler Wilson. 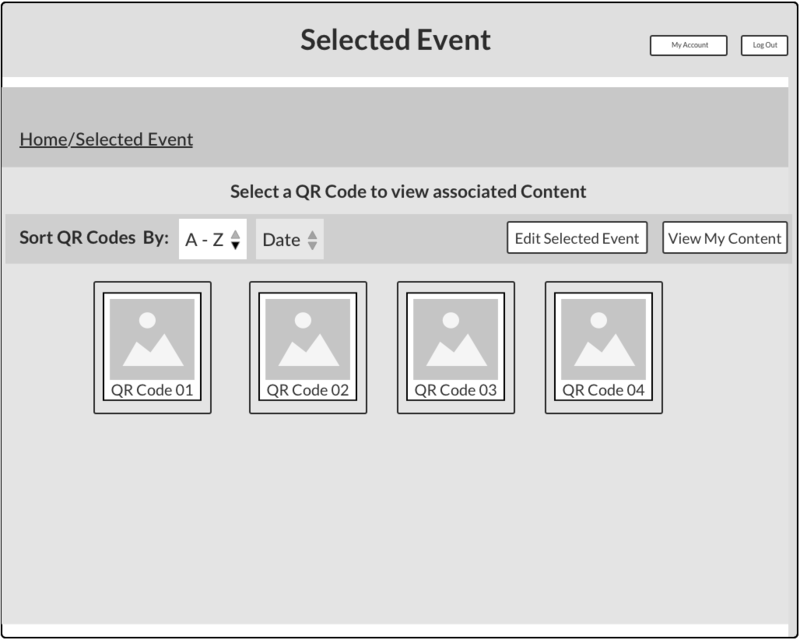 Create a suite of products for Freeman that make it easier for attendees to browse, save, and revisit exhibitor content during and after trade-show conferences as well as the exhibitor content management systems. 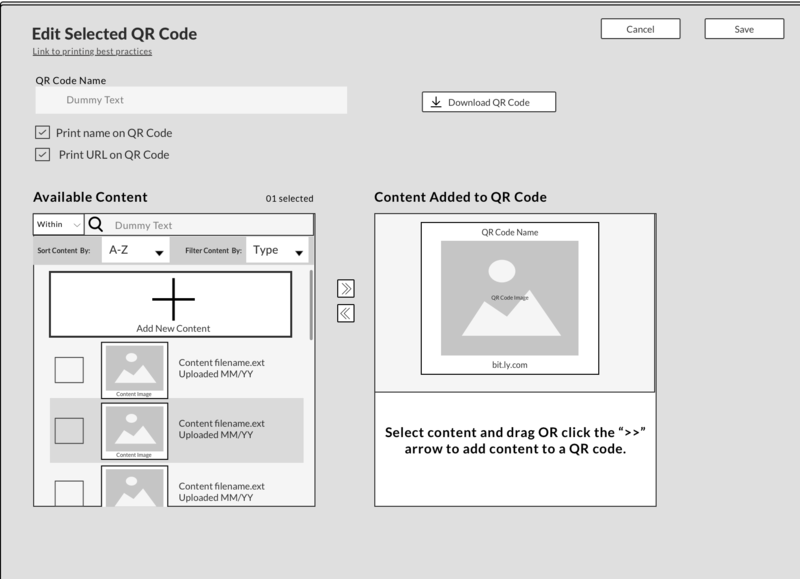 Or, How do you teach someone to how to scan a QR code when the application itself begins after the code has been scanned? 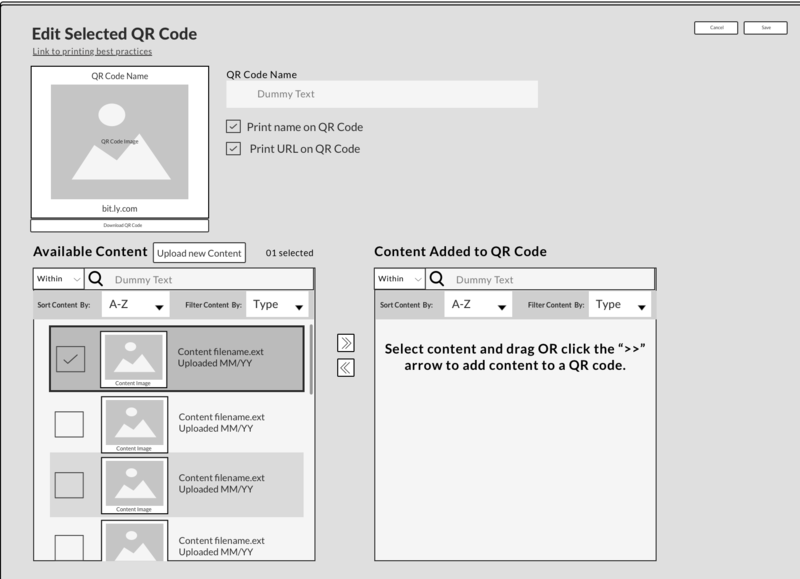 One of the interesting problems of this product was its lack of dedicated tutorial steps. 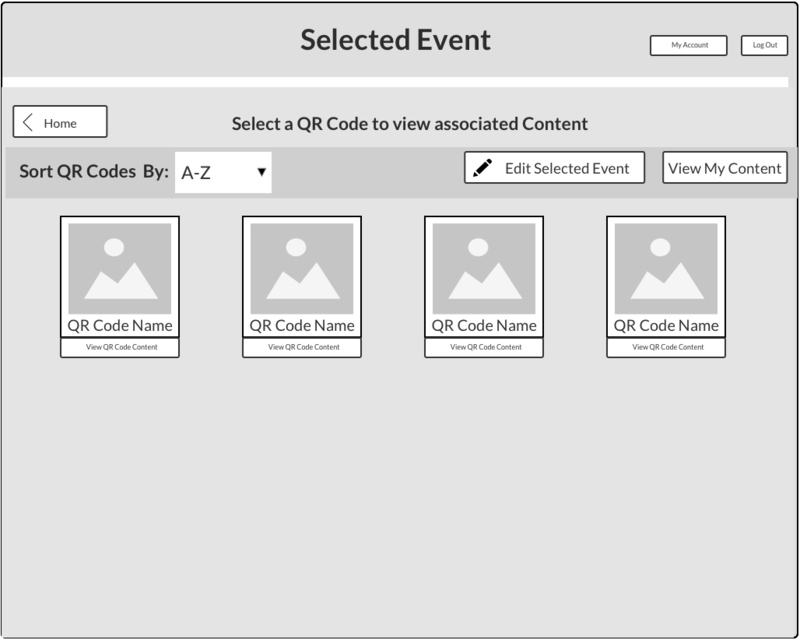 After designing the initial content management system for Exhibitors and reviewing with the internal team, I set out to confirm our assumptions with informal paper prototyping. 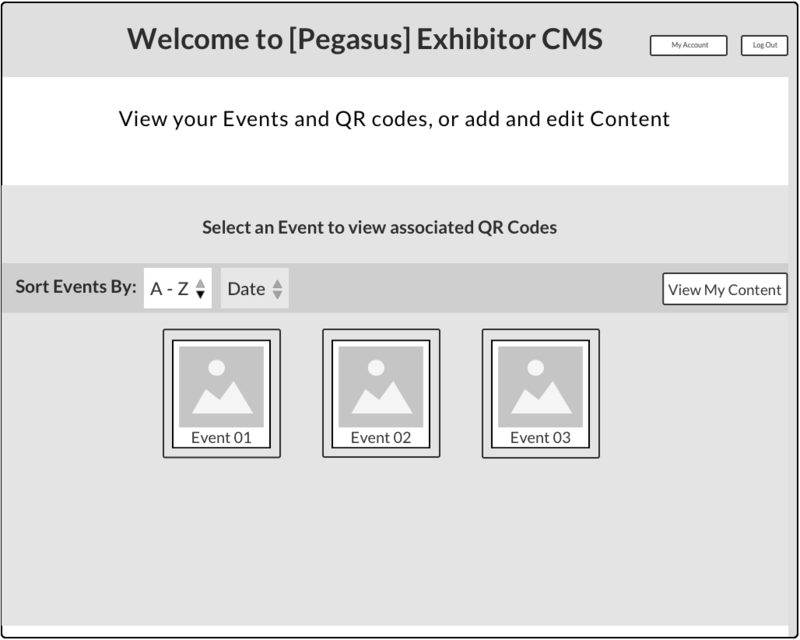 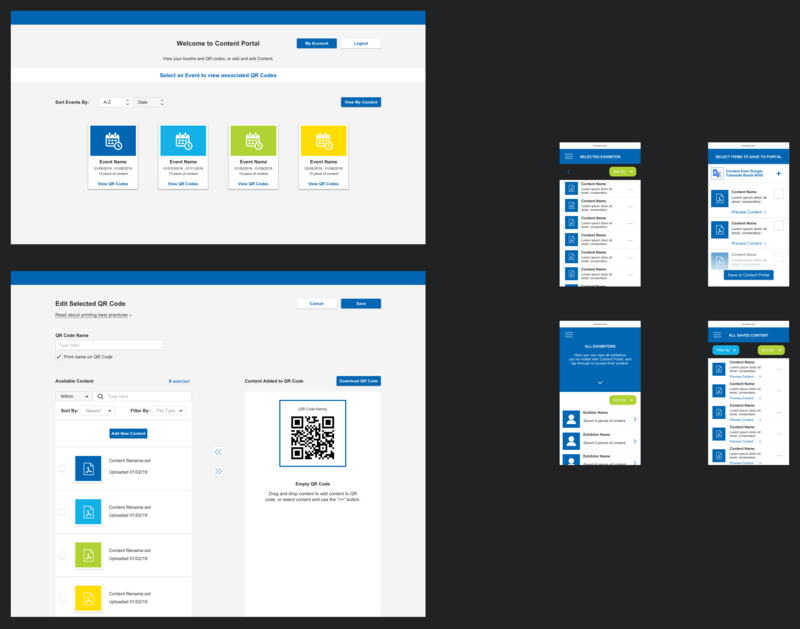 The mobile experience for the attendees parallels the experience for exhibitors using their CMS. 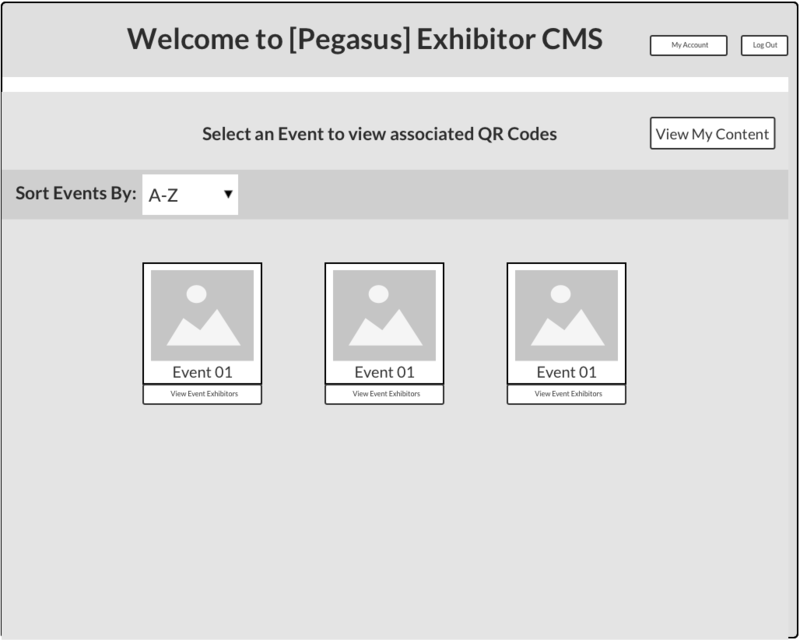 Starting with the events, attendees can from there browse all their exhibitors, view all of the saved content, or they can specifically view content saved from one exhibitor. 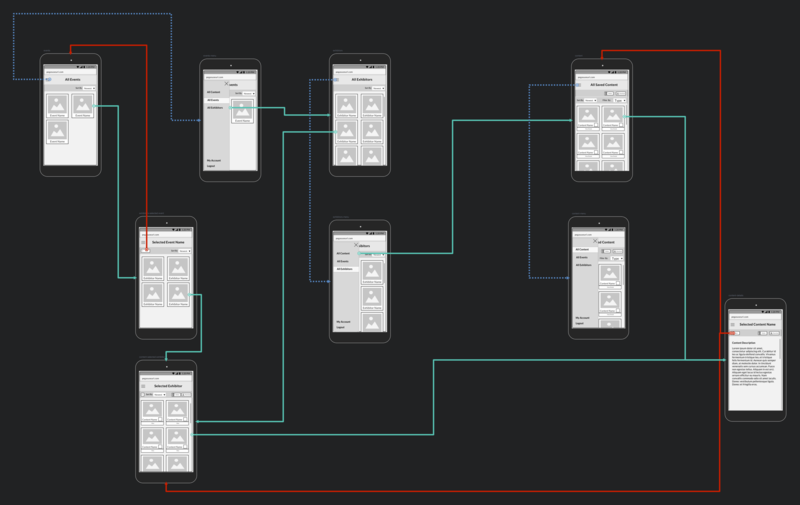 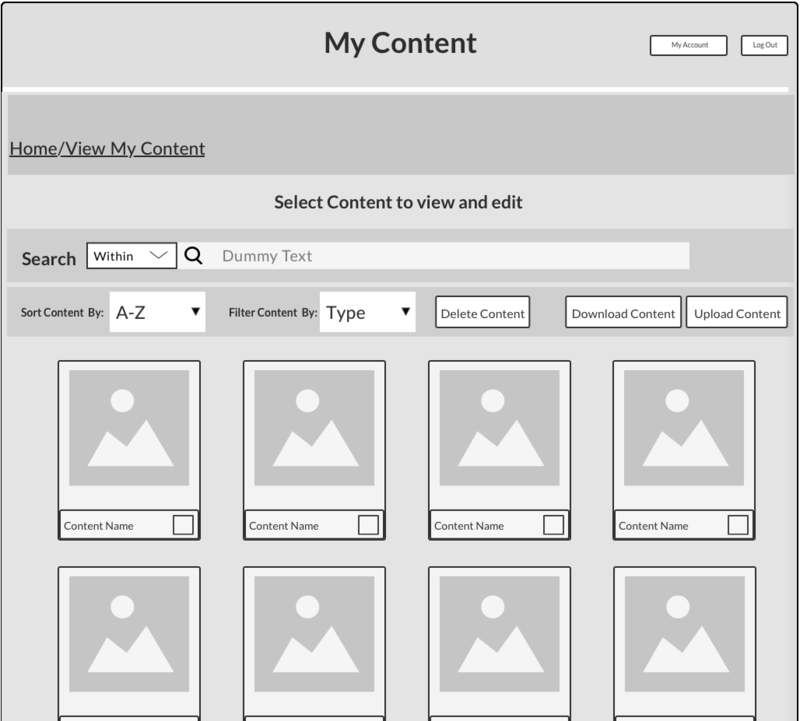 Wireframes for mobile content browsing and associated functions, designed to be in-line with feedback from the exhibitor CMS paper prototyping.